We are leading manufacturer & of Gold Silver Wire Drawing Machines for jewellery making to our valuable customers. This Gold Silver Wire Draw Machine comes with interchangeable steel reel winders for winding the drawn wire. The machine frame has a cast iron support, a metal base, and a heavy duty cast iron drawing roller. The winding reel has a plate-type clutch with ring gear and adjustable ring nut on the transmission that permits gradual start-up of the machine to prevent the wire from breaking. All of the transmission parts are mounted on bearings and have oil bath lubrication and a special filter applied to the scavenge pipe to permit recovery of metal filings. The machine also has safety guards and devices. 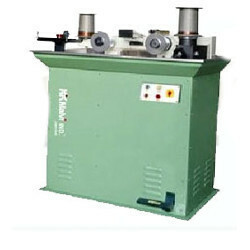 The WD4 , WD6 and WD10 PASS drawing machines are designed for Drawing Gold and Silver Wire. The drawing process takes place through a series of drawplates with calibrated holes that decreasing by 0.1 mm in diameter. The motorized winding reel with adjustable clutch. We are offering an innovative assortment of Gold Jewellery Wire Drawing Machines 4 pass. This is an upstroke coining press with higher ram travel speed and with extra hydraulic cylinder for return stroke to increase the production. 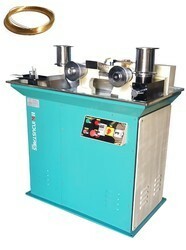 Our given machine is designed for minting gold and silver coins and medals. Prior to dispatch, the machine offered by us is inspected from our side on numerous parameters.